These are some common applications for USB in an embedded system. Please contact your local Quadros Systems sales representative for information on other applications supported by RTXCusb software. RTXCusb supports development on both sides of the USB bus. This solution includes host and device stacks, class drivers and controller drivers. RTXCusb is designed to be a fully modular solution. Developers can license either the host stack or the device stack along with the class drivers and controller drivers they need for their application. RTXCusb has been designed to work closely with the RTXC Quadros real-time operating system; however the RTOS abstraction layer included with RTXCusb means it can be used with any kernel or operating system. RTXCusb can take full advantage of RTXC communications stacks and middleware. This includes integration between the RTXCusb mass storage class driver and RTXCfatfile embedded file system, and between RTXCusb CDC Ethernet class driver and the RTXC Quadnet TCP/IP stack. 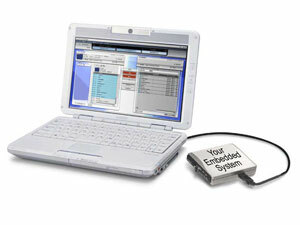 USB device (function) capability allows the embedded system to attach to a USB host (such as a PC). USB OTG (On-the-Go) characterizes USB interfaces that have full device (function) support and limited host support. This allows the embedded system to Quadros Systems’ OTG product is scheduled for availability in Q3/Q4 2006. You want to be able to attach a USB flash memory device to your existing embedded system to upload files to a PC. This is a common embedded application for USB technology. 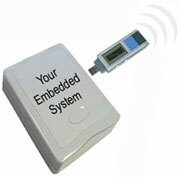 Your embedded system needs to function as a USB host. The memory stick is a USB device (function). You want to be able to attach your embedded system to a PC so that a technician can read log files and perhaps do a firmware update. In this scenario, the PC is the USB host. The embedded system is the USB device. NOTE: This implementation does not allow concurrent access to the resident Flash. The PC host and the embedded device will each need to reinitialize the file system before reading/writing to the Flash memory, and the embedded system needs to know not to attempt to write to the NAND flash while the PC is attached. You want to be able to attach a USB WiFi device to your existing embedded system to connect to a wireless network. *Quadros Systems also provides an SDIO stack to support WiFi, Bluetooth and other removable devices via an SD card slot. 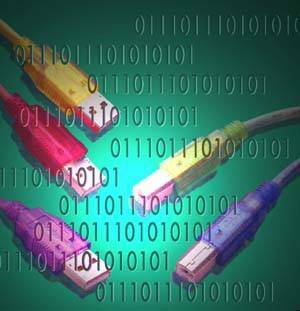 These are just a few of the common applications for USB in an embedded system. Please contact your local Quadros Systems sales representative for information on other applications supported by RTXCusb software.